This book has been majorly hyped – I’ve seen loads of people talking about it on twitter and instagram. Well, I didn’t love it. Whatever you’ve heard about Caraval, it doesn’t compare to the reality. It’s more than just a game or a performance. It’s the closest you’ll ever find to magic in this world . . . 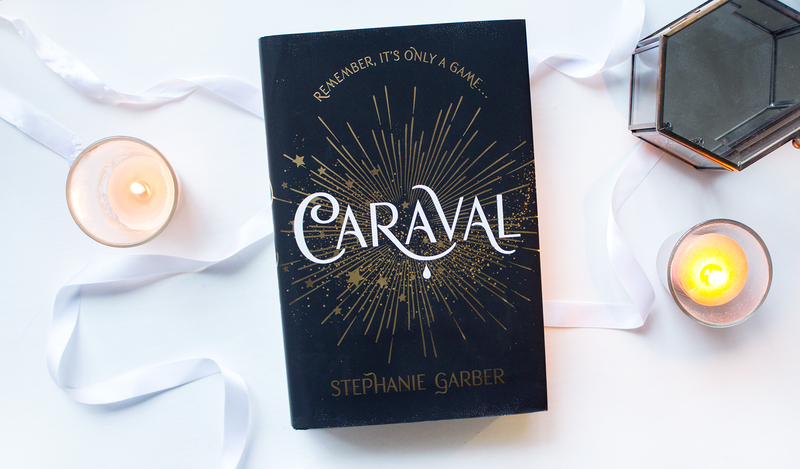 Welcome, welcome to Caraval―Stephanie Garber’s sweeping tale of two sisters who escape their ruthless father when they enter the dangerous intrigue of a legendary game. Don’t get me wrong, I liked the story and idea, but it just didn’t hook me in straight away. It actually took around 2 weeks for me to get through this, and I thought I’d devour it in a few days. Doesn’t the cover look pretty though?! The whole premise of this book sounds wonderful, and I love the idea of a weird magic game, something that is almost a performance, something people don’t really understand or know much about. There’s so much you could delve into with this, and for me honestly the story just lacked that context. We didn’t really find anything out about the worlds or Caraval itself – which obviously is a mystery to the characters so I guess stayed mystery for us – nor did we really learn anything in depth about the characters. The writing was just strange. Like, descriptions were never really ‘proper’ descriptions, and I found it hard to imagine a place or what was happening sometimes if I’m quite honest. Maybe that’s just a lack of imagination on my part. I feel like this kind of writing will either appeal to you or it won’t. This mystical, secretive kind of writing and story style isn’t for me. That said, there was always something happening, something amazing or frightening that Scarlet was experiencing so the story moved quite quickly. Chapters were short but it seemed like each one had importance to the story. And the characters… Scarlet. She just really grated on me. So many times I just wanted to shout at her and tell her to shut up and listen to people, or to actually think instead of reacting on impulse. I don’t know, she just annoyed me from the beginning and I kind of wish we’d had Tella in the main narrative! Scarlet is supposed to be clever and adventurous but she was just naive and annoying 80% of the time. I quite liked the roles of Julian and Dante though as I thought they added the perfect sense of mystery. I never knew who to trust from the people surrounding Scarlet so that made it more interesting. We did get a few plot twists and unexpected happenings throughout and to be honest, I never really knew what to expect for the ending. I think that’s why I kept reading on. Despite all the above annoyances, I was kind of hooked on seeing what happened. Who was Legend? Were the rumours true? I really think it’s an interesting story idea and I’d love to delve more into Caraval, the performers and how people from the outside view it. I just wasn’t a fan of the writing style and I guess this book was just too overhyped for me. Would I read the sequel? I don’t know. I feel like I’d have to, to see what happened next and to see if anything changed within the writing. Doubtful but you know, I am an optimist!